The GLCD 128&64 Adapter Board is an accessory board used to connect a 128x64 graphic LCD to your development board or prototype device. The board includes a potentiometer for GLCD contrast adjustment. Board provides the necessary interface for connecting 128x64 Graphical LCD Display with the target development board. 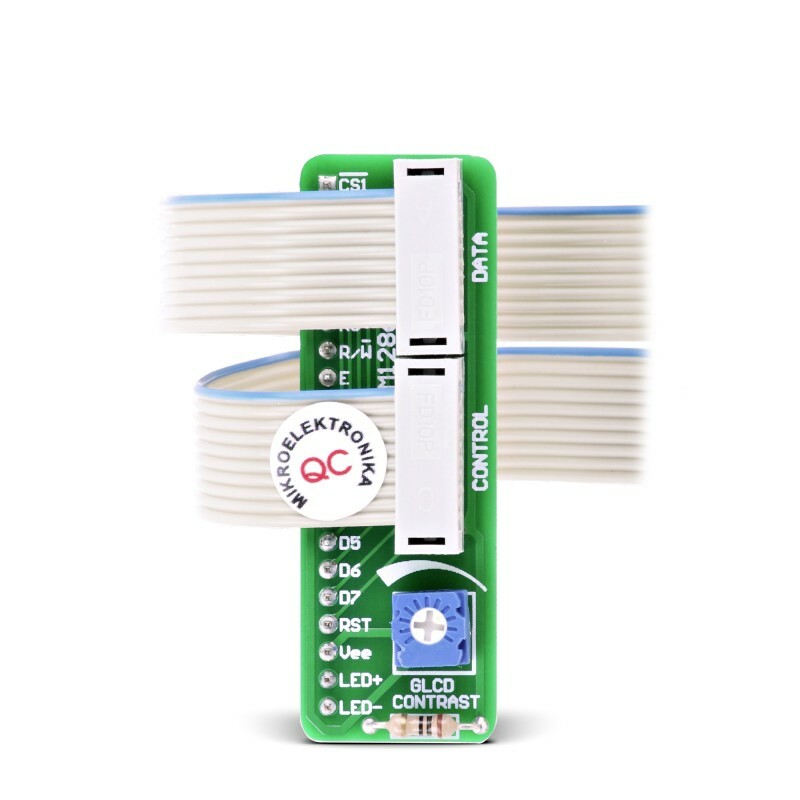 Board supports 8-bit parallel data and control interface and is equipped with GLCD contrast potentiometer. Data and control lines are grouped separately and connected via long flat cables to female IDC10 header connectors.